You’ve been thinking about travel nursing as a career option for a while now, but you’ve been hesitant to take the plunge. Maybe, you don’t think you can hack it as a travel nurse because you’re naturally shy, or you’ve heard from your friends that travel nurses are given difficult patient loads. 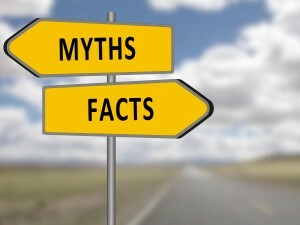 Well, Travel Nursing Central has busted the top 6 travel nurse myths wide open below. We bet you’ll be surprised by what you might learn. Don’t let rumors or myths scare you away from a rewarding travel nurse career. You Must Be Outgoing: While being an extrovert usually helps, it isn’t required in a travel nurse. In fact, most travel nurses believe that being a team player is the more important trait. You’ll make friends faster among the hospital staff if you can quickly learn the hospital’s routine, bring a positive attitude and hit the ground running with your awesome clinical skills. Outside of the hospital setting, there are plenty of perks to traveling alone. First of all, you get to schedule your adventures and enjoy them at your own pace. Going on a hike or indulging in your photography hobby are just some of the activities you can enjoy solo. However, if you’re still worried about how you might handle traveling, you can test the waters by sticking to a location fairly close to home. Then you can truly decide if the travel nurse lifestyle is for you. You Don’t Get to Choose Your Travel Assignments: Nothing could be further from the truth on this one. You absolutely have a choice when deciding where you want to travel. Your traveling company might not always have a job available in your dream location, but that doesn’t mean you have to go anywhere you don’t want to. Just let your recruiter know a few of your top location preferences and your recruiter will find jobs for you. Overall, remember to keep an open mind about where you decide to travel. You could be surprised to find that you enjoy the slower pace of a small town hospital compared to the rapid-fire pace at a sprawling facility in New York. You Can’t Take Your Pet with You: There are many companies that will accept your pets as a package deal and will gladly find pet-friendly housing for you. But, not all agencies are willing to let your furry friend come along for the ride. Moral of the story? Do your research before you sign a contract if you want to travel with your pet. You Aren’t Eligible for Benefits: Almost all travel staffing companies have a benefits package for their travelers, so this myth is a pretty easy one to debunk. However, benefit packages vary greatly with the traveling company. Here again, it pays to do your research. Find out which benefits are the most important to you and go with the company that offers them. You can start your research on TNC’s agency reviews page here. You Get the Worst Patient Assignments: There’s also the assumption out there that travel nurses get the worst patient assignments. Again, this isn’t usually the case. As a travel nurse, you are there to lighten the hospital’s patient load. Most staff members are happy to have you there, and your patient assignments won’t necessarily be more difficult than a permanent nurse’s load. However, if you know you don’t want to be a floater, put it in writing if possible. Your contract can sometimes be your best protection. You Will Make Tons More Money as a Travel Nurse: This myth is a bit of a gray area. Many times, travel nurse pay is typically better than a permanent position, but that might not always be the case. There are some assignments that are incredibly lucrative, but others can be comparable to seasoned nurses’ current pay. The key here is to remember that your pay as a travel nurse is usually based on a number of things, including whether or not you take company housing, enroll in company health insurance, and/or the location of your assignment. Again, this all depends on your travel company and how they handle pay. Be sure to ask your recruiter about this issue before you sign a contract, and remember the power of negotiation! How Does Travel Nursing Help Close the Healthcare Gap? This entry was posted in travel nurse advice, Travel Nursing and tagged featured, travel nurse advice, travel nursing by TNC. Bookmark the permalink.